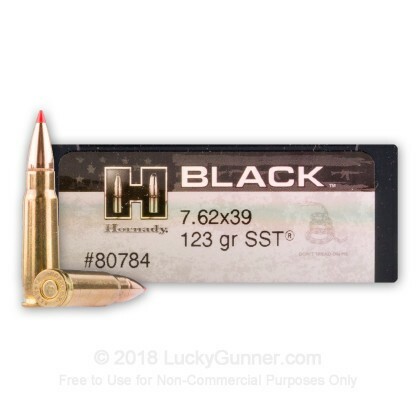 These excellent rounds from Hornady's BLACK line are a proper option for hunting hogs, deer, and coyotes with 7.62x39mm chambered rifles. Each cartridge is built using a brass casing with a non-corrosive Boxer primer at its base; this casing is reloadable and soft enough not to mar any of the small parts of your rifle. The cartridge profile is crowned with Hornady's own Super Shock Tip (SST) projectile which weighs in at 123 grains. The SST bullet possesses an elongated secant ogive, a tapered polymer tip, and a pronounced boattail rear which all help resist drag in-flight for more accurate shots. Upon impact with a target, the plastic tip is pressed back into the bullet's hollow cavity and initiates massive, game-dropping expansion. This mushrooming is kept in check by the projectile's toothed cannelure and interlock ring which bind copper jacket and lead core in order to ensure that the bullet reaches vital organs for effective energy transfer. 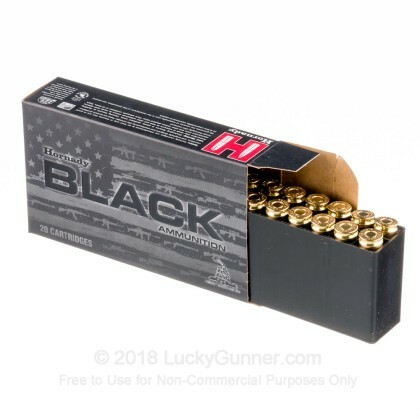 The BLACK line of ammunition is intended to deliver an excellent experience in America's favorite rifles which includes AKs from WASR to Arsenal. 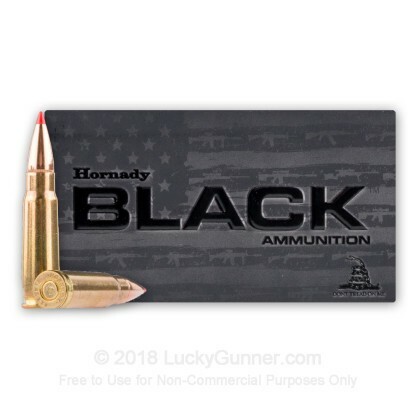 We don't have any reviews yet for this particular 7.62X39 ammo from Hornady. 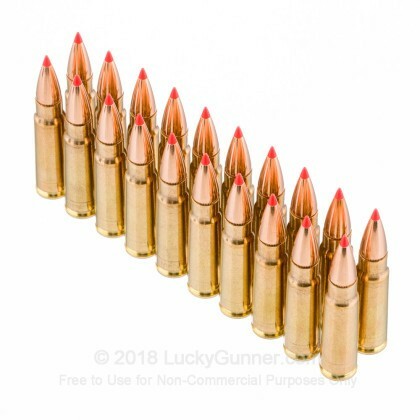 If you'd like to be the first to review this particular 7.62X39 ammo from Hornady, fill out the form below. 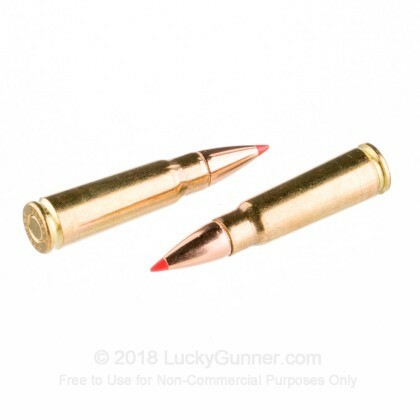 Q: Is the diameter of this bullet .308 or .310 or ? A: Hello Jerry! 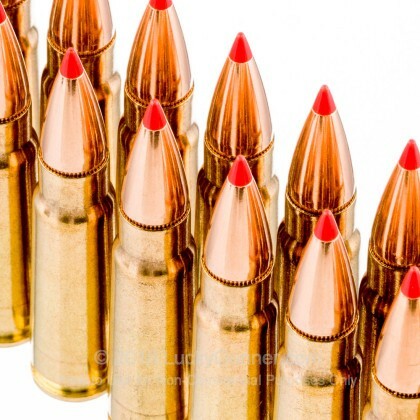 Hornady lists this ammunition as being loaded with a .310" diameter projectile.